I just got this off NetGalley today, and was extremely excited to devour it whole! And oh boy, it didn’t disappoint! Unfortunately, this was only a sneak peek version of the story, which makes me really sad at the moment because I just finished the first nine chapters that were included in the galley. However, I’m very content with how chapter nine ended, and although it was quite predictable, it was extremely satisfying to see that I was right. Although I doubt Schwab really intended to hide that little plot twist anyway. What I find really good about this book so far is the world-building. It’s extremely unique in the current overkill of paranormal/fantasy books that’s being churned out every month, so many kudos. The Archives, where the memories of Histories (deceased people) are kept, sounds hauntingly beautiful. All I can imagine is a huge library stacked with the memories of the world. And ‘Histories’ is just such a befitting name for the dead. Everything just clicks so well together in this secret world that Mackenzie Bishop works for. 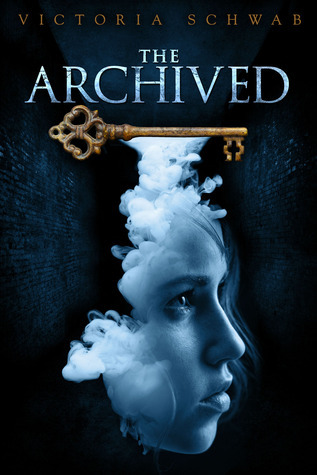 So Mackenzie is a Keeper, whose job is to stop Histories that manage to escape from the Archives. She usually catches them in the Narrows, the place between the Archives and the Outer (the real world), and guides them through a door where they are put to rest once more. It seems like an awfully frightening thing to task a 16-year-old to do, but she’s been trained for this from a very young age by her grandfather. In The Archived, you flit between the present and the past almost every chapter. It’s very interesting to read about Mackenzie’s past, but I found it very annoying when it switched from first-person narrative to a second-person one. Yes, a second-person narrative. You dont usually see that. The last time I read a second-person narrative was probably in one of those ‘choose your own path/story’ books that were really popular back in primary school. Or maybe some experimental fiction stories on fictionpress. But yes, it’s not often you see that in a novel, and while it’s refreshing, I found it unnecessary. What was the point in putting me in the position of Mackenzie’s grandfather? Maybe it’ll be reviewed later in the story, but I’m only reviewing the sneak peek version, and it’s definitely not necessary in my opinion. Mackenzie was a character that I liked a lot. However, her past self and present self seems to have some very contrasting personality differences. Young-Mackenzie was a lot more fierce than her present self, and I understand that with everything that’s happened in the past year to her family, it’s a given that she’ll be a little withdrawn into her shell. I found Schwab’s writing was strongest during the flashbacks as they were just so emotive. I found myself wanting to be taken back to Mackenzie’s past more often than wishing the story would move forward. What I found a little lacking in this sneak peek is the lack of plot. I understand it’s not the final edited version, so it’s not as tightened up as what the final edit would be. However, I found myself questioning the author where exactly the plot was heading as I neared the end of the galley. While there were some very interesting back-stories, world-building and character developments, I had no idea when we would get to the actual plot. I didn’t mind all too much as the chapters were short, and I’ve only read nine chapters, but I really hope the finished version of the book gets the ball rolling, or at least gives more hints as to where Mackenzie’s story is being led towards. In the end, I’m so glad I had the opportunity to read this, so thank you to NetGalley and Victoria Schwab for providing this sneak peek. It’s such an intriguing and unique story, I can’t wait to get my hands on a physical version of the book in January! THANK YOU: Disney-Hyperion on NetGalley and Victoria Schwab for the galley.